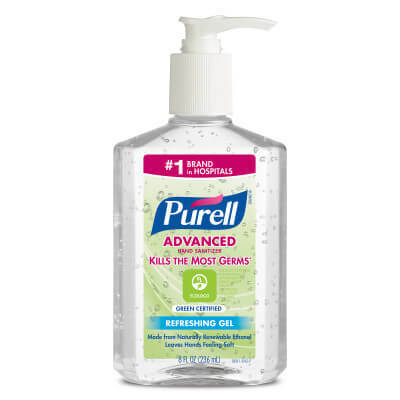 SKU: Purell® 9691-12 Advanced Green Certified 8 oz. Gel Instant Hand Sanitizer - 12/Case. Categories: HAND SANITIZER / HAND SOAPS / DISPENSERS / STATIONS, HAND SANITIZER / HAND SOAPS / DISPENSERS / STATIONS1, PURELL.